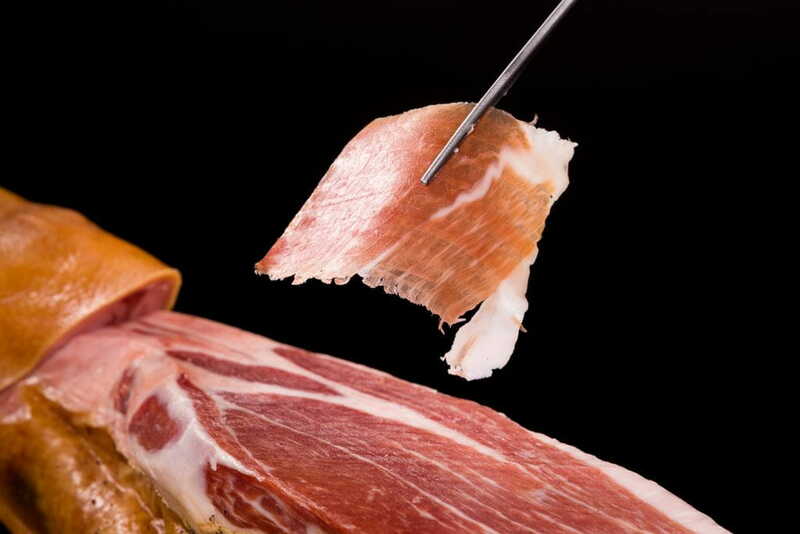 Our hams are made by taking care of the selection of the pieces, coming from very well bred and fed pigs, with the greatest care during our process of elaboration and curing. It is a very traditional process, based on a little salt and a lot of cold. To achieve this, they are cured at very low temperature for many months in drying rooms at a controlled temperature and humidity. The total curing process for Duroc ham is more than two years, so creating a very balanced ham, even, not overly fatty and of extraordinary quality and flavour.